A nice lady contacted my peoples a few days ago and said she wanted to use my picture on her pet blog for the BaltimoreSun website! The Blog is called Unleashed, and here is a link to the post on me. 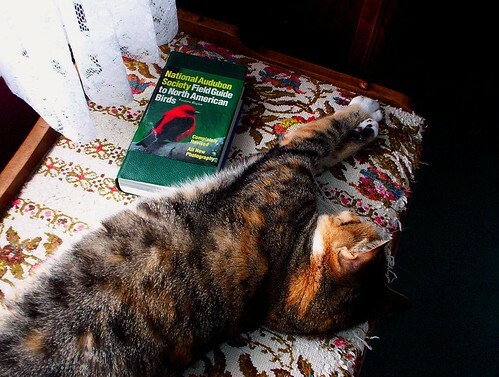 It mentions that I once fell asleep in the window with my favorite book Field Guide to North American Birds, and I thought you might like to see a picture of that.